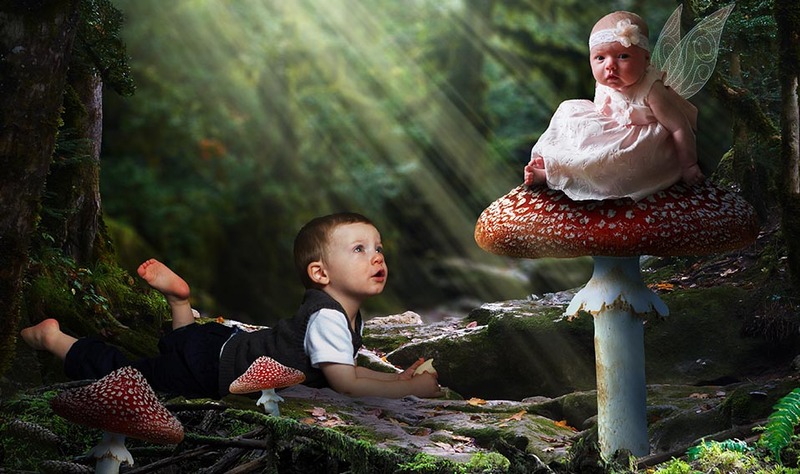 I collaborated with Aria Henderson with SoulSpice Photography in Canada for a series of children’s fantasy edits. She wanted to offer something out of the ordinary for her clients. She would go to their homes and photograph them and come up with a concept for the finished project. I would then create original backgrounds and insert the kids into their fantasy pictures. These two kids are brother and sister. They were photographed separately. I created this forest background with whimsical mushrooms and special lighting for this special finished product.